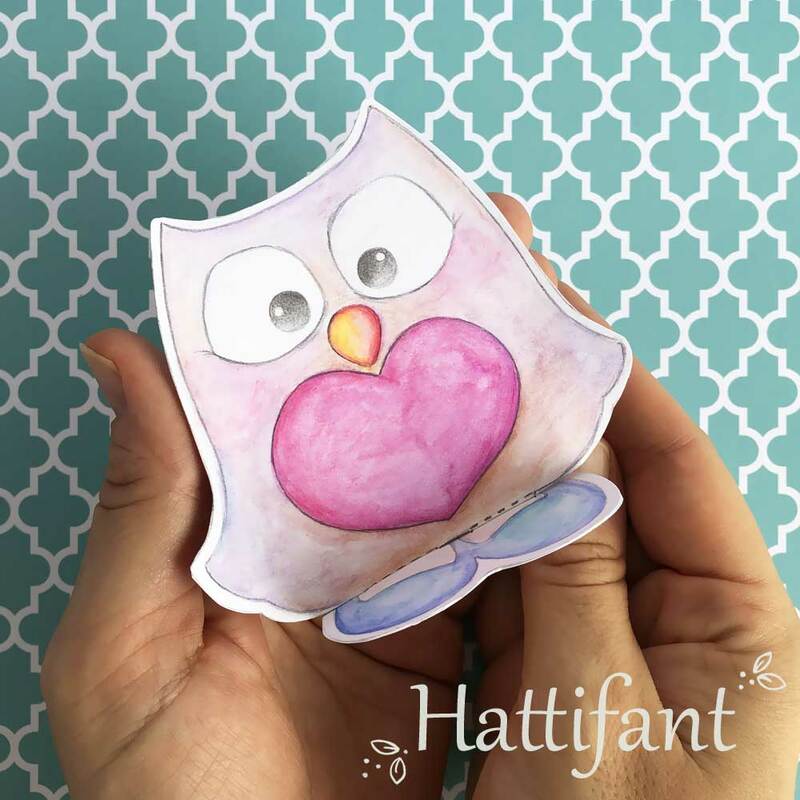 Hello everyone and welcome to another cute cute cute Owl Paper Craft! 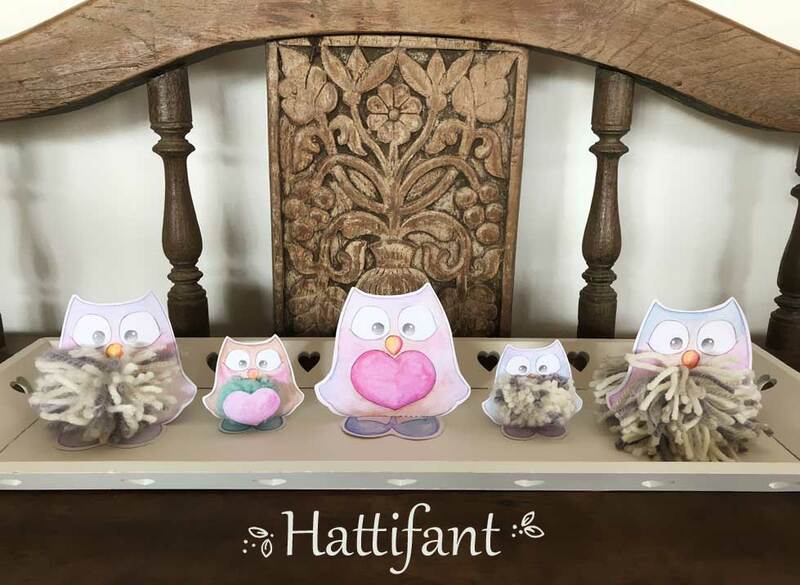 Hattifant’s POM POM Mama & Baby Owls Paper Craft! 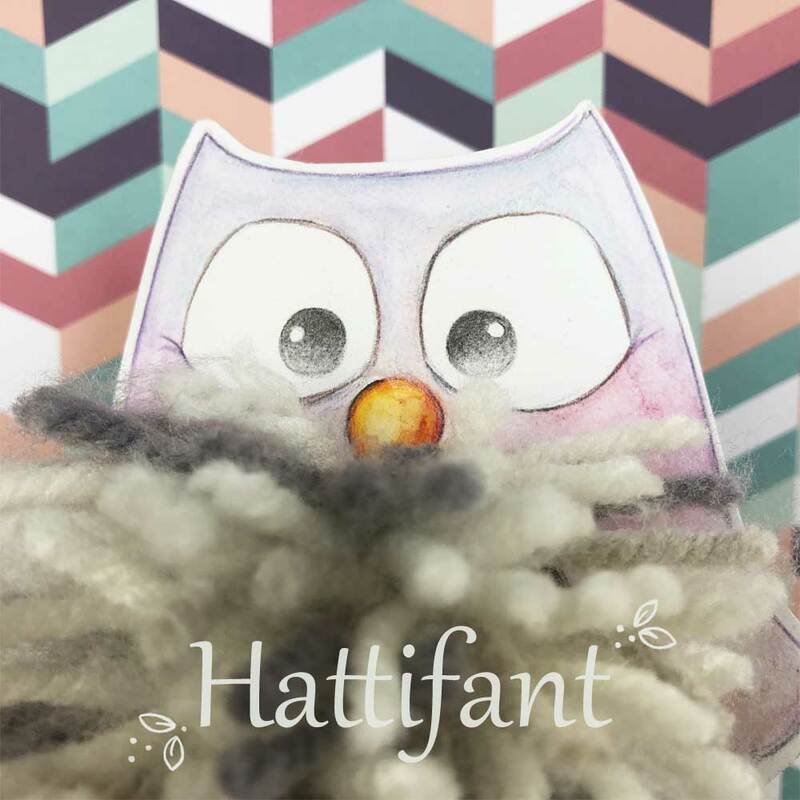 Now let’s see… what will you need to make some fluffy Pom Pom Owls with me?! 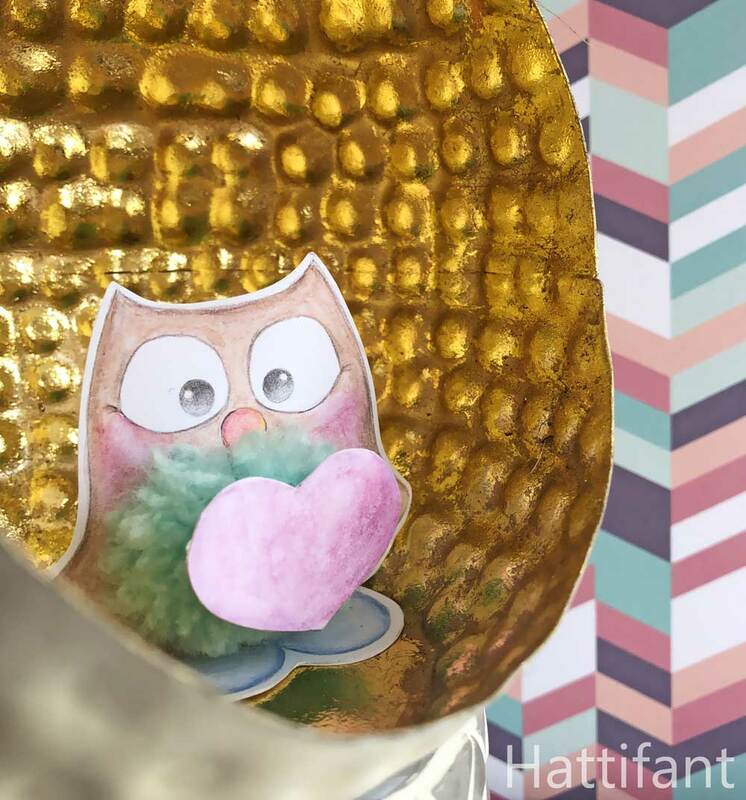 Now that you have had a first glimpse this is what you will need to get together before you start crafting the Pom Pom Owls. 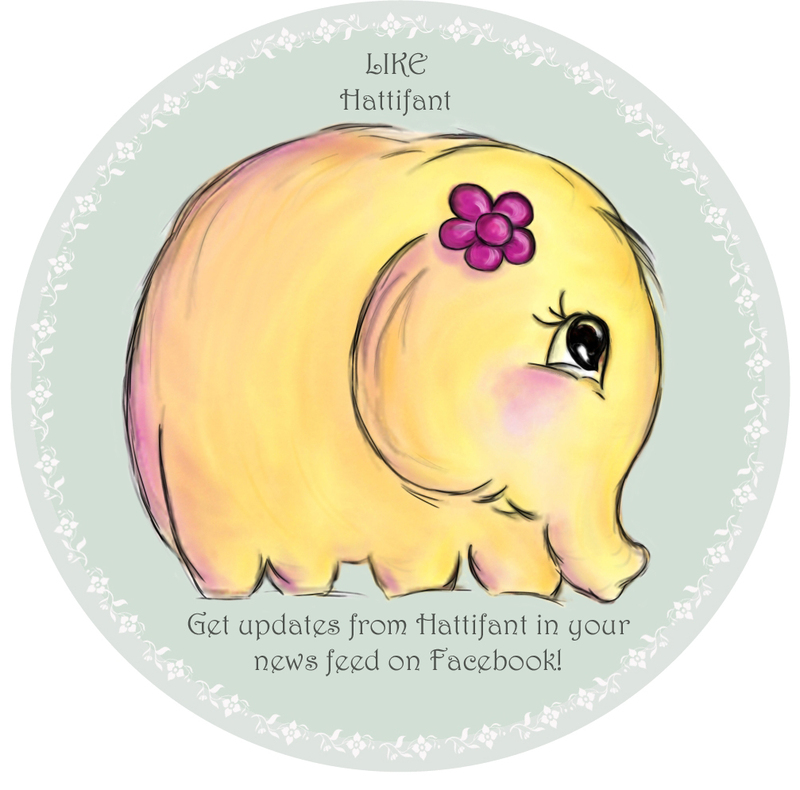 First, get your printable! 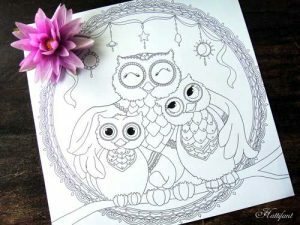 If you like coloring then go ahead and color in your owls with your favorite colors. 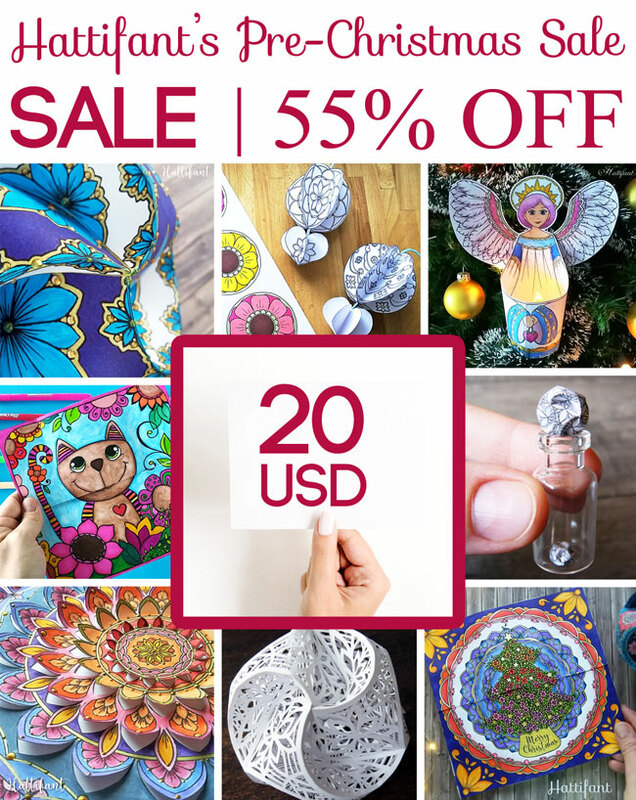 I love Aquarelle Pencils and will use those. 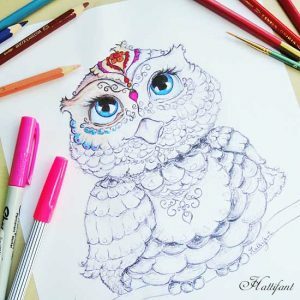 If you don’t like coloring so much I have also added an already colored in version for you! Then cut out the templates. You will now have to choose if you want to keep the “tummy” heart or cut it out for room for the pom pom. But don’t fret you can use the heart later! 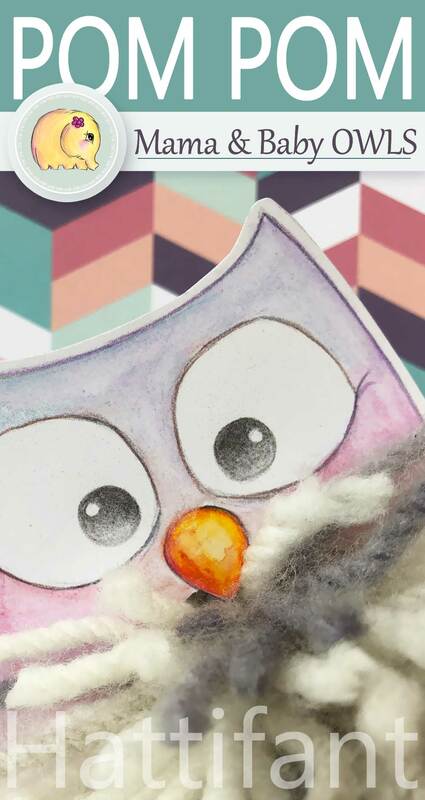 You can glue it on the pom pom as a last step or add it with a little yarn as a note to the owl. 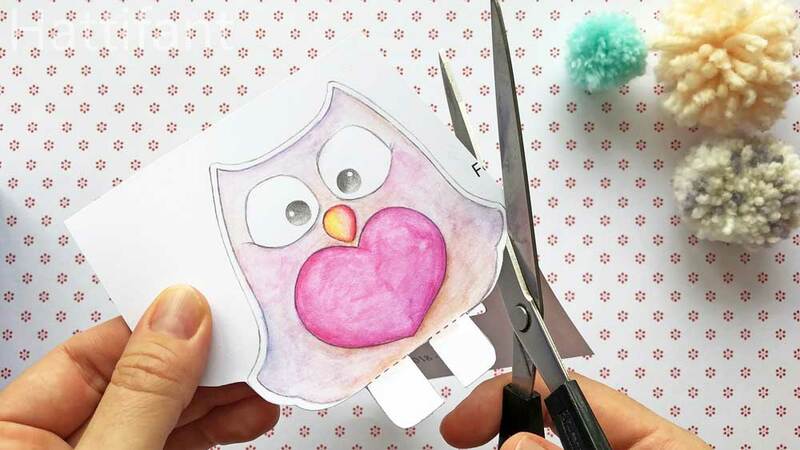 Now, score the lines and make the cuts where indicated on the printable, place body and feet together and glue them. 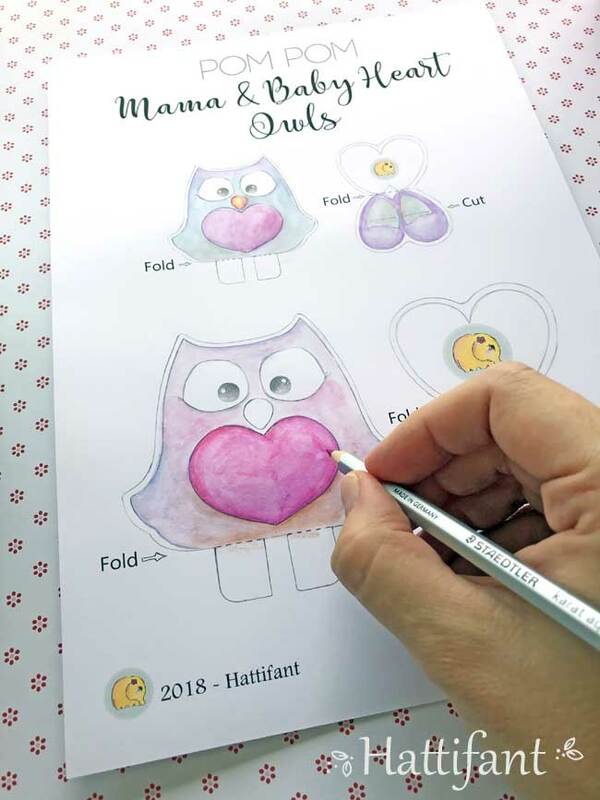 Your owl with look pretty much like this! 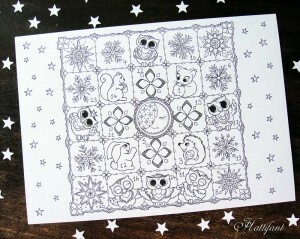 Or you choose to add a Pom Pom. 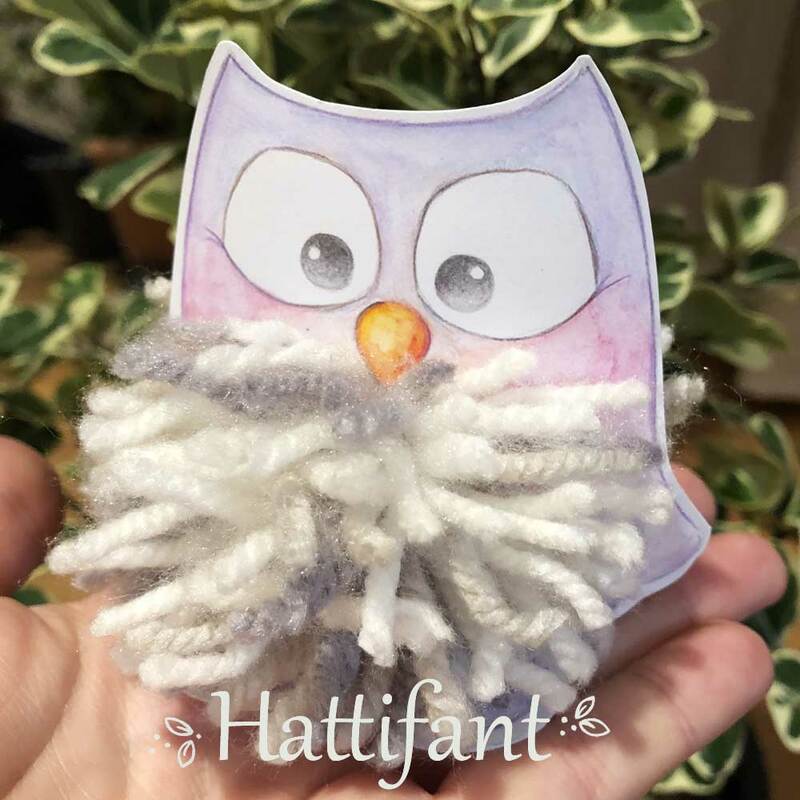 In the video tutorial I show you how to make a pom pom by using a fork. 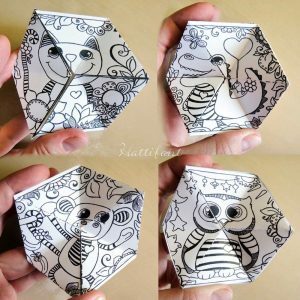 Love that method for the small owls. For the big owls I wrapped the yarn around my left hand for a bigger pom pom. 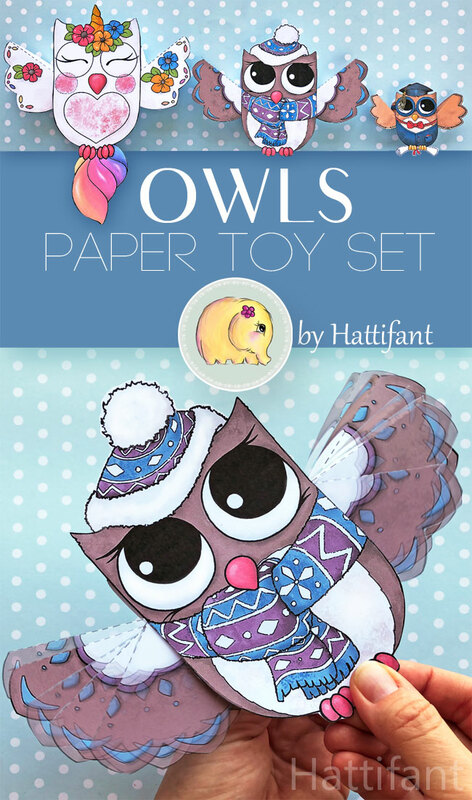 Now it’s time for me to let you print off your templates and make your own owl paper toys! 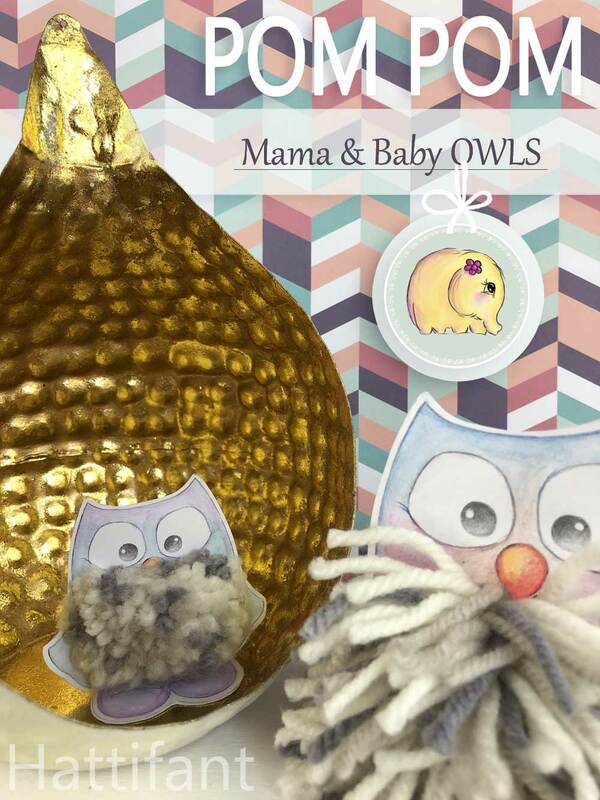 So let me wish you an absolute fun and fluffy craft session with this cute Pom Pom Mama & Baby Owl Paper Craft! 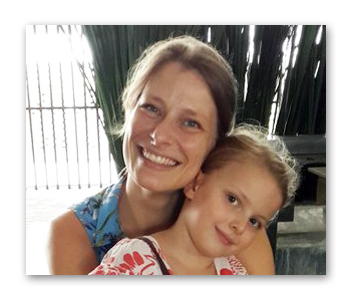 Do send through your pictures! 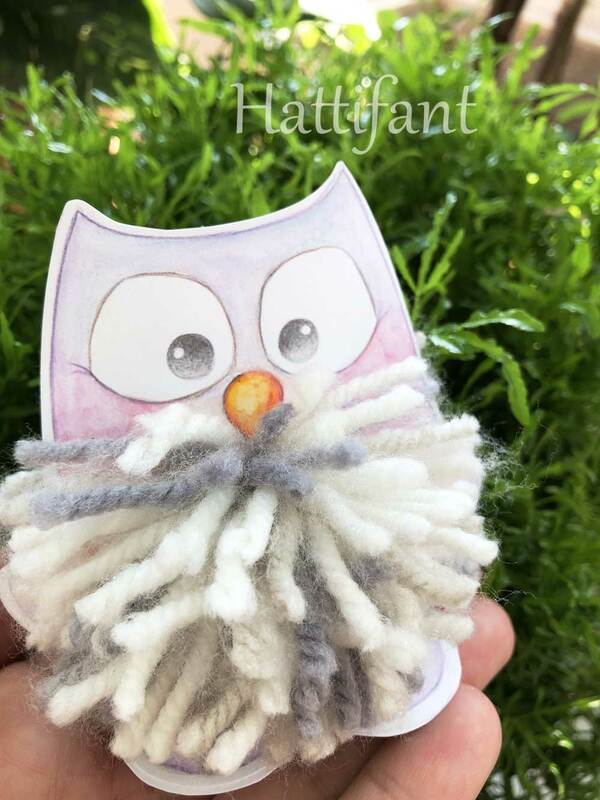 I always enjoy seeing your creations!! !